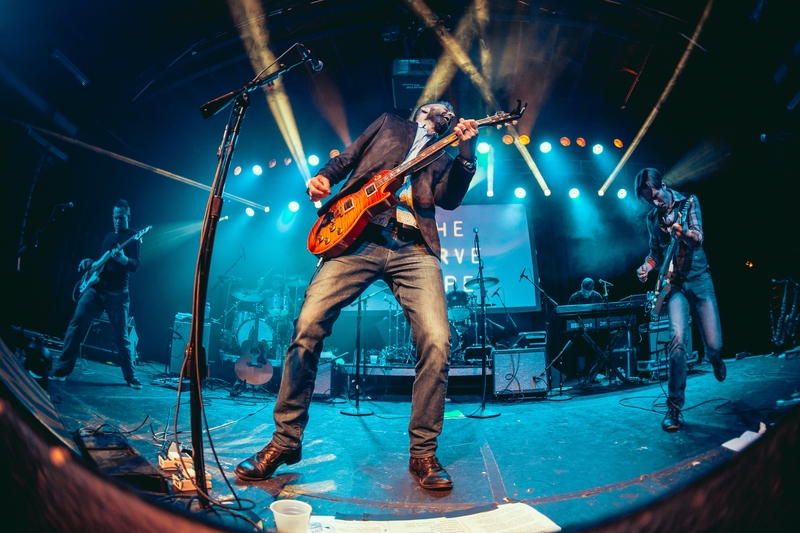 While The Verve Pipe first burst on to the rock scene in 1996 with the album Villains that featured the hit “The Freshmen,” the band may not have duplicated the success of the hit single or album, which sold over 3 million, but The Verve Pipe is still making music and touring. Most recently, The Verve Pipe released the album Parachute, which is a solid effort from the band. Also released in 2017 was a live and acoustic album featuring all the tracks from Villains. The live album is a personal favorite of mine. Frontman Brian Vander Ark recently took some time to talk to ReviewStl about the new album, making children’s albums and opening for Kiss, among other topics. I recently listened to Photograph and really enjoyed it. What was the process like for writing the album? This album was a little bit different. We wrote about a song a month. We decided to just work on that one song at a time. I think it took the band in a different direction. Everyone from the band helped write the album. Everyone came up with great ideas and I think it’s our best effort in a long time. Thinking back to Villains, did you expect it to be the hit that it was? I think so, but I think everybody expects that. I think we were extraordinarily lucky because it did hit with people. Looking back on it now, it was a great hit and I think we expected it to be, I just don’t think we realized how lucky we were at the time because it just doesn’t happen for most bands. Was there a lot of pressure on the band to have another hit album after Villiants? Tremendous, tremendous pressure. You go through a lot of in fighting such as who is writing what. Every time we went into the studio it was a pressure cooker to come up with a song that one person said is a hit and another would say no, this is a hit. I think if we’d just taken our time and stayed true to ourselves I think that second album would have been much better. Do you think signing with a major label could be a double-edged sword for a band today? I would say it’s an every-edged sword. I don’t think I’d ever sign with a label now, there’s no reason to. I mean, sign a distribution deal, sure. Signing these 360 deals and 50/50 deals are a mess. I would never do that now or recommend that for a band. You have to run your band like a business and we’ve been able to do that which is why we’ve been around for 20, 25 years later. Once we got dropped by RCA it was like how can we run this as a business and make money. Next thing you know, we put out a kids record and we’re playing a kids stage at Lollapalooza to 5,000 screaming kids, selling 4 t-shirts to every family because if you buy one kid a t-shirt, you’re going to buy each kid one. So, we were able to make money off the kids stuff and then go back into the studio and make a rock records again. I don’t think there’s a major label around that would have let us do that. How did you come up with the idea for a kids album? Well, I had kids. I was introduced to Kindy Rock bands. I thought this would be really fun to do this. You can have a kids album that sounds like Queen. I mean think about Seargent Peppers, it sounds like a kids album. Everything is really catchy and singable. If you put an oboe on a rock album it sounds pretentious but if you put it on a kids album, a kid who plays an oboe in band is gonna say ‘oh my god I can’t believe there’s an oboe in that song. So, you can have a lot more fun with it. What advice would you give an up and coming band? Wish for the moon but be practical. Keep all of your publishing. Run your band like a business and do it on your own. If your talented enough to write music that’s catchy, that people want to buy and listen to, you have to step up and be able to separate yourself from the business and artistic side. You’re going to be much happier in the end if you control everything. I read that years ago, the band opened for Kiss. What was that experience like? It was the worst experience of my life. It was ridiculous. I was a huge Kiss fan too. Imagine you hear back in 1996 that Kiss is going to get back together with the makeup and original members and play these huge arenas. 20,000 people buy tickets to see Kiss and show up to the arena to see Kiss and the lights go down and 20,000 people are roaring with anticipation to see Kiss and then the lights come up and it’s some stupid band you don’t know, we were that band. They hated us. Gene Simmons came in one night after a show and was laughing about it, saying this happens to every band who opens for us. I said, you could have told us before we signed on for 30 dates. The great thing about it was I knew I would never fear another crowd ever again. That was the worst of the worst. I would never do that again and wouldn’t recommend anyone do that. Heck, at this point Kiss probably has people pay to open for them. I’m sure because Gene is such a great businessman. I listened to the live album and really liked that the songs have a different sound than they do on the Villains album. Was that something you guys were going for? Yeah. I don’t see the point in putting out a live album and playing it the same way it was released. I like to change things up a little bit and thought bringing in different instrumentation might be fun. I feel like that the live album brings the fan into the fold and gives them a feeling of what it was like to write the album with an accoustic guitar. I’m really proud of that album. I’m pleased with how it came out. The band will be playing the Uncorked Festival Friday night. What can fans expect from The Verve Pipe? In this kind of format, you get a 45-minute to an hour set so we’re going to play quite a bit off Villains because that did so well for us in St. Louis. There’s going to be 2 or 3 new songs which is pretty typical of us. These are bands from the 90s, we enjoy playing on stage and having fun. We get a kick out of each other and crack each other up. Expect to be entertained because we’re going to give it our all as we always do. Check out The Verve Pipe Friday night at Uncorked, downtown at the back of Keiner Plaza. Also playing Friday night will be Plain White T’s, Matt Nathanson and Mat Kearney. The event is free and begins at 4 p.m. when Alexandra Kay takes the stage. Also be sure to check out The Verve Pipe’s latest release Photograph.